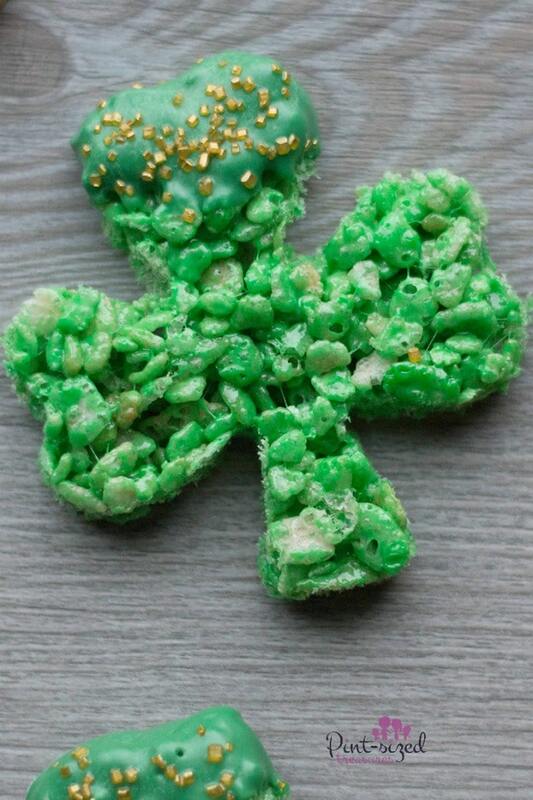 Easy, shamrock Rice Krispie treats are perfect for St. Patrick’s day! 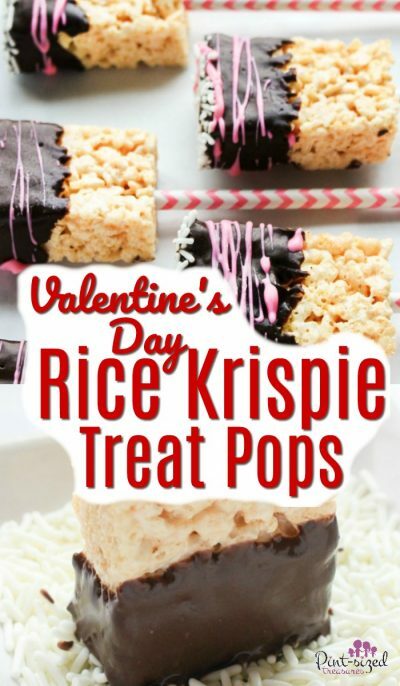 They’re brilliant green, dipped in chocolate and covered in gold sprinkles! SO fun!